Lay out at least two sheets of newspaper over each student’s desk to protect it from the paint. Put a smock or old T-shirt over each student, so that they don’t ruin their school clothes. Hand each child a large block of clay. Demonstrate how to roll the block of clay on a flat surface against the palm of your hand until a large ball is formed. To smooth out the ball, have the students dip their hands in a cup of water and use a little water to work the edges of the ball. Set the balls (spheres) aside to dry. Place a globe where all of the students can see it. 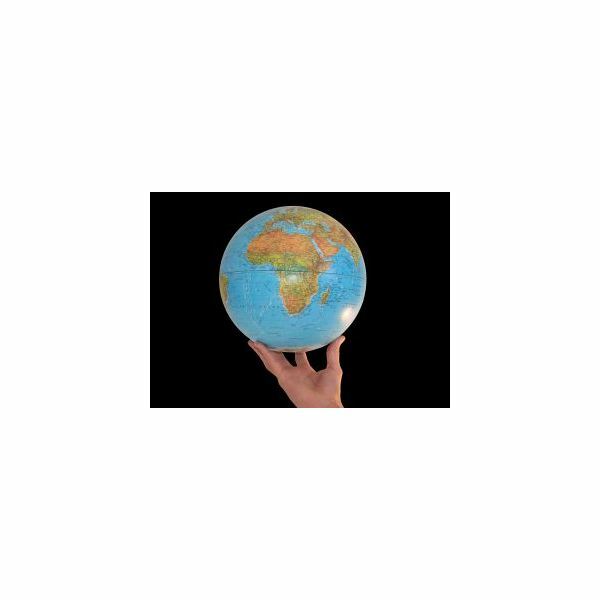 Point to the western hemisphere and the eastern hemisphere and allow the students to shout out what land masses are in each. Paint the land masses onto the clay with green paint. Students should try to get them to look as close to the globe as possible, but it does not have to be perfect. The rest of the earth is covered in bodies of water. Have the students paint the rest of the clay blue. Set the ball aside for the paint to dry. Have the students point out the 4 bodies of water and the 7 continents on the clay Earth. Give each student a toothpick and have them etch the names of each continent and body of water into their clay Earth. If there is not enough room, then have the students use abbreviations. Display the students’ clay Earth in the classroom for a week or two and then allow the students to take them home.